Generation photos from the 1940s and later. 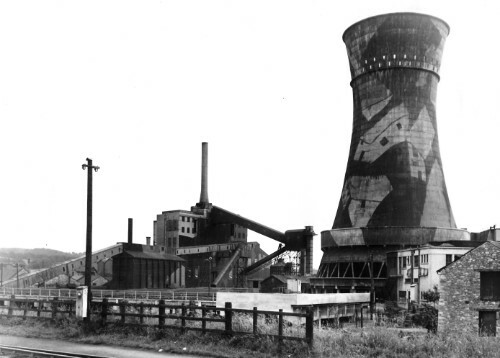 SWEHS 18.2.020.jpg – Date c1940s – Newton Abbot generating station wartime picture. Devon, Newton Abbot . 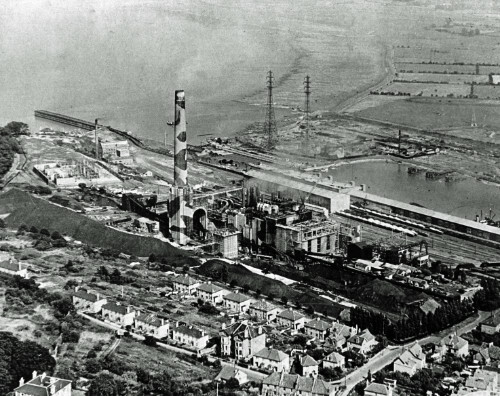 SWEHS 3.2.001.jpg – Date c1947 – Aerial view of Portishead ‘A’ power station. North Somerset, Portishead . 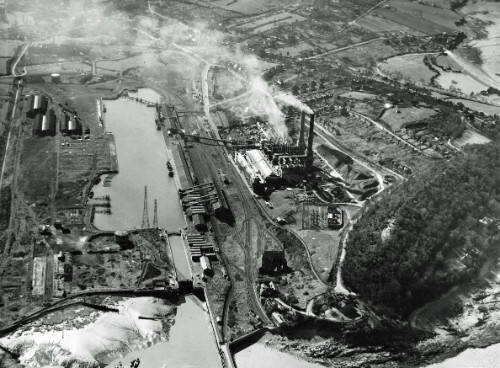 SWEHS 3.2.002.jpg – Date c1947 – Aerial view of Portishead ‘A’ power station. North Somerset, Portishead . SWEHS 3.2.003.jpg – Date c1947 – Aerial view of Portishead ‘A’ power station. North Somerset, Portishead . SWEHS 3.2.092.jpg – Date 16/02/1948 – Portishead Generating Station generating sets 2, 3, 4 & 5. North Somerset, Portishead . 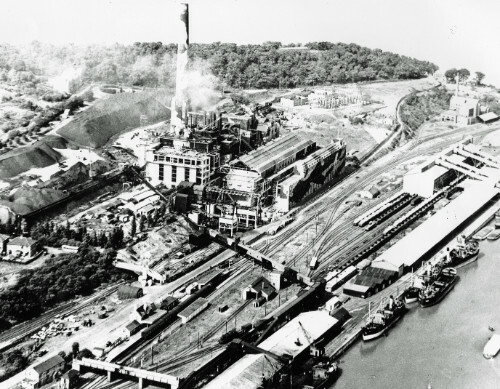 SWEHS 7.1.194.jpg – Date 1948 – Pontsmill power station, a DEL & P Company. Three Mirrlees diesels: 1 x 132kW and 2 x 200kW plus 1 x 300kW Crossley diesel. All alternators 50 cycle Crompton Parkinson. 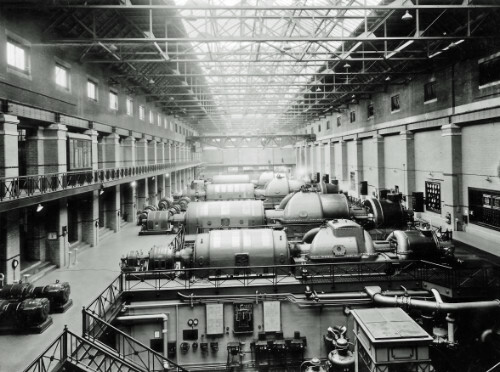 Generation ceased 1948 and all plant soon removed. Cornwall, St Austell . SWEHS 11.0.020.jpg – Date 1948 – Haven Road generating station. Devon, Exeter . 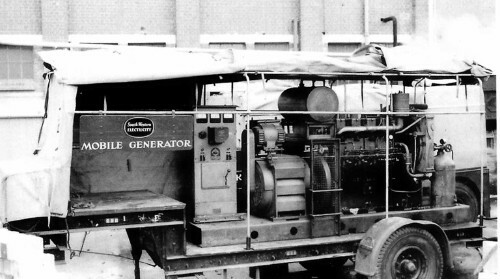 SWEHS 9.0.049.jpg – Date c1950 – Ex WD 415/240 volt 3 phase 55kVA mobile generator. Unknown . 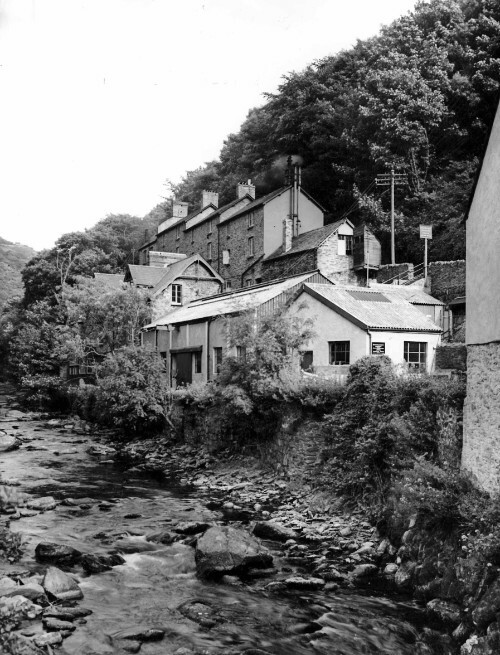 SWEHS 9.0.053.jpg – Date c1950 – East Lyn Mouth 100 volts, alternating current, 330kW (1926), steam. Supplt commenced 1890. Built by Lynton and Lynmouth Company. Buildings swept away in floods. Devon, Lymouth . 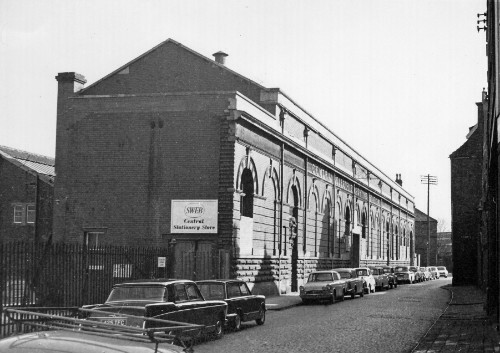 SWEHS 3.1.019.jpg – Date 1968 – Central Electricity Lighting Station. Bristol, Temple Back . 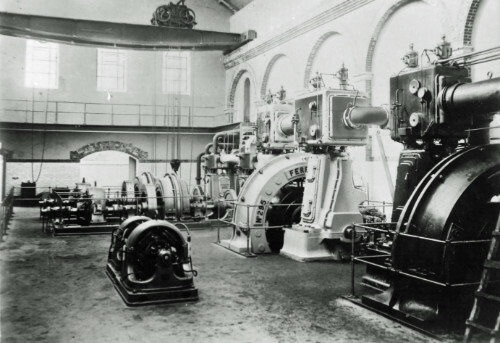 SWEHS 7.1.193.jpg – Date unknown – Newquay Mount Wise power station commenced supply in 1906. 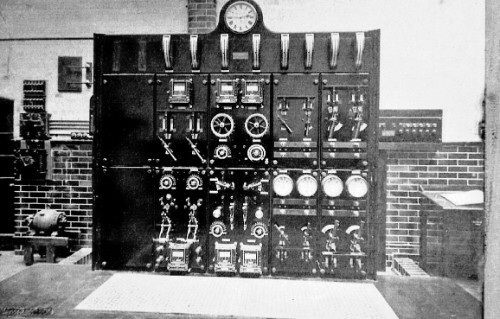 230/460 volt direct current 435kW, oil (1926). 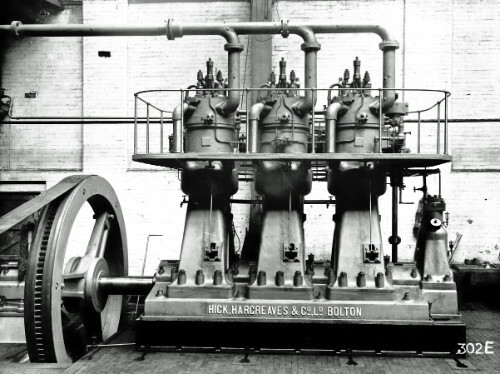 Hick, Hargreaves & Co. Ltd., Bolton engine. Cornwall, Newquay . SWEHS 9.0.028.jpg – Date unknown – Ilfracombe generating station. Commenced supply 1903. 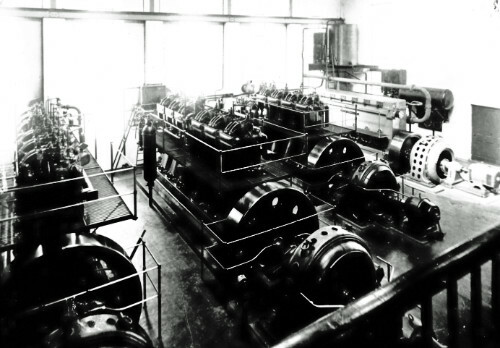 500 volt direct current 330kW (1926), Steam. Devon, Ilfracombe . 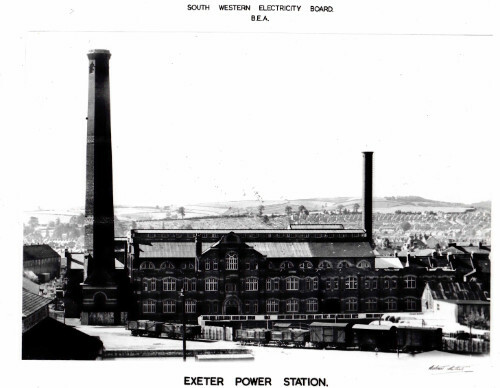 SWEHS 11.0.071.jpg – Date unknown – Exeter Power Station Devon, Exeter .